This is the story of how one woman's pet horse almost became pet food. When Queensland, Australia native Regina Pandurovic realized her health was declining she knew she could no longer be the best pet mother for her 19-year-old mare Darling. So she made the difficult decision to give her up. She posted a photo on Facebook and offered her beloved for free to a good home. That's when a mysterious woman named Sarah Reynell got in contact with her. Sarah told her she thought Darling would make a great companion mare for her young horses. After talking, Regina was convinced and one day Sarah appeared to take Darling away. Although it was sad, she knew Darling would be going to a good forever home. At least that's what she thought. One night, while scrolling through Facebook she came upon a post by a local dogger. As explained by the Sydney Morning Herald, a dogger is a colloquial term for a person who sells horses on to a knackery. The horses are then slaughtered and processed, often for pet food. There, on one of the photos was a picture of Darling. Regina rushed to save her, she paid $550 dollars and picked a battered and bruised Darling up to take her home. They were lucky. Regina's horse escaped death, she would have been butchered and rendered and turned into pet food. Unfortunately, up to 30,000 Australian horses a year aren't so fortunate. They are sent to one of the thirty-three knackeries that process horse meat. Much of the meat is sold fresh as pet food, 90% to, presumably, greyhounds.Feeding one abused animal to another provokes quite disturbing images. One way to halt the massacre is to pass legislation that bans this practice, that's why banning the sale of horses as pet food could be so monumental in helping to protect Australia's horses. Horses are companion animals. Slaughtered in a knackery is such a brutal and sad way for such a majestic animal to die. No one wants horse meat on their plates nor do they want them in their dogs' bowls. 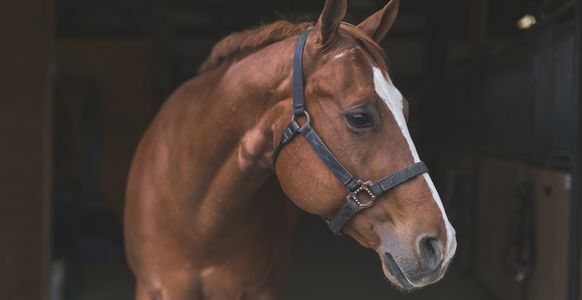 It's time for Department of Agriculture and Water Resources to ban the sale of horse meat as pet food. Sign if you agree.